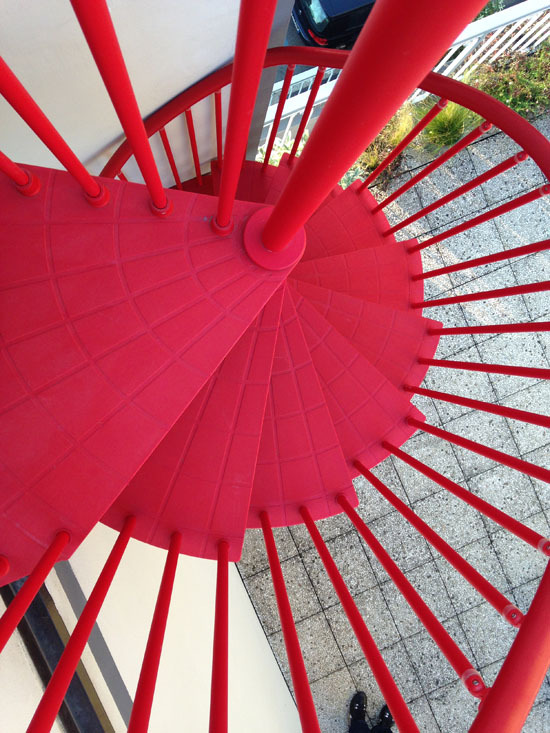 Techne is the sustainable staircase that’s worth a thousand words: born as the brainchild of Italian designer, Fontanot, this eco-friendly staircase is the product of in-depth research and creative, avant-garde design. 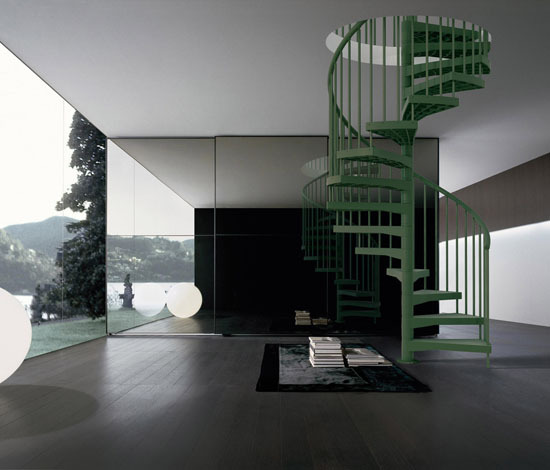 As a prominent fixture in the home, the staircase should make a statement, and with Techne, Fontanot is making a very green statement. 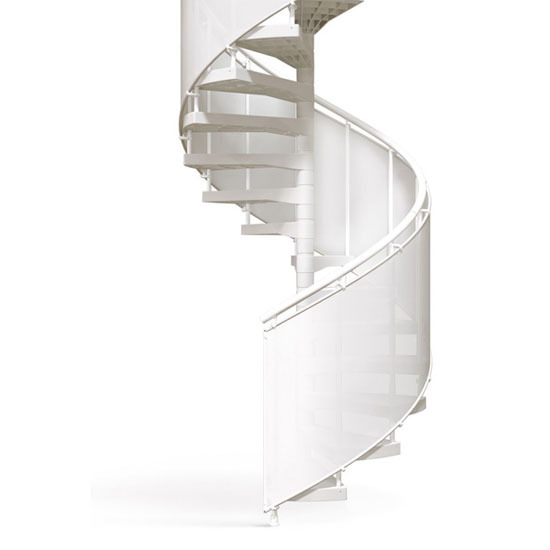 The Techne staircase is a veritable mix between aesthetics and functionality, set apart from the crowd for its innovative material: technopolymer. 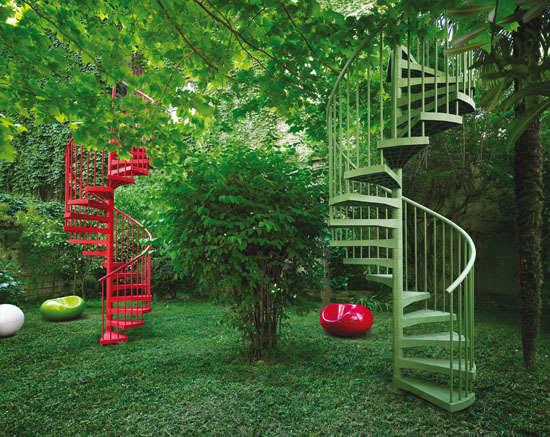 It is in fact the first staircase in the world to be built using this plastic-like material that is 100% recyclable. The creative mix of material to make Techne is also reinforced with fiberglass, giving it an exceptional mechanical and shockproof resistance as well as elevated levels of tenacity for a sustainable design option that is low impact on the environment and high durability, not to mention stylish. 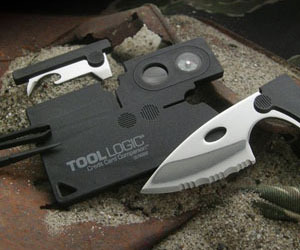 Techne was designed and crafted for both indoor and outdoor use. 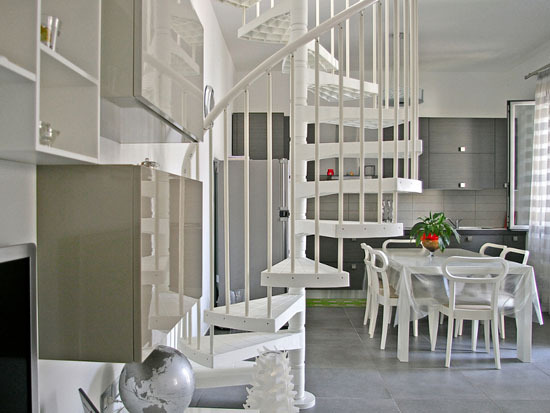 In addition to techniques to produce a sustainable stair, it also uses a particular coloring technique. By using an advanced coloring in the mixture process, Techne is resistant to UV rays and atmospheric factors, perfect for withstanding any type of weather, be it rain or shine. Techne comes in three colors: white, red or green, possibly calling upon the heritage of its Italian design roots? For environmentally conscious decorators and those looking to add a little style to their home with a creative touch, Techne takes the prize in aesthetics and sustainable design.